I put my motorcycles through hell, so every now and then I treat them to some little treasure. It’s my way of saying “I know I abuse you, but I really do love you.” Little upgrades like performance tires, exhaust systems, make the difference in a healthy moto-man relationship. Some people like to pack on the chrome, I settle for practical mods. Of course, as someone without a life outside of motorcycles, girlfriends, buddies, and family, have no clue what to buy me. I’m sure there are many motorcycle rider spouses out there who find themselves wondering “What should I buy a motorcycle rider?”. Here’s one great suggestion. Let’s face it, we all need covers at some point? For some of us, it’s just to keep the apartment building parking lot grime off of our bikes. For others, a cover keeps their precious machine safe from nature’s elements. The less informed motorcyclist will end up with the wrong cover for his or her needs. The less fortunate motorcyclist will buy one that will be a little too small, while his neighbor will have one a little too large. There is no exact fit. Until today, I never considered buying a custom made motorcycle cover. It turns out Studio Cycle Group has a custom car and motorcycle cover designer that will work with you to make a cover using the right material for the job. You get your choice of color and other custom touches such as stitching and emblems. Measurements take quite a while as all angles and dimensions are measured so the cover comes out fitting like a glove. The cost is around $250, quite a bit more expensive than a regular cover. Is it for everyone? Nope. I bet my custom’d-up 1990 Honda Hawk GT 650 is worth more in parts than in whole and is stored indoors. It hardly seems worth it, but if I had a $7,000+ machine I wouldn’t hesitate to think about protecting that investment with the right cover. 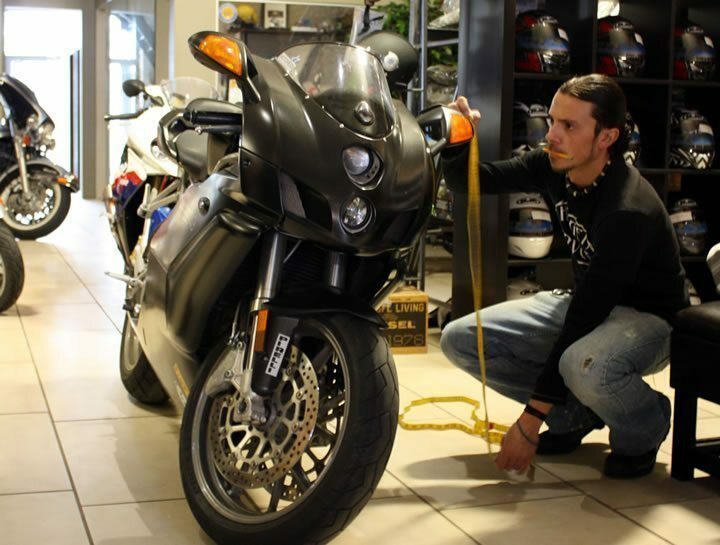 Be sure to check out YouMotorcycle’s review of Studio Cycle Group, the Toronto motorcycle dealer. Very cool bike, but I think you may have misread the article. 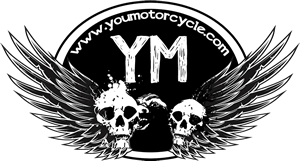 We don’t make motorcycle covers, this is an article about a motorcycle dealership in Toronto that does… or at least, one that did back when this article was written in 2012. You may want to reach out to them directly. I believe you would need to bring the bike to the dealership in Toronto, Canada. I’m sure you’d have better luck finding someone more local.